I recently had the pleasure of being on a webinar that was being hosted by a previous author guest on our show by the name of Ron Friedman the author of a book entitled “The Best Place to Work“. He was hosting our guest for this podcast Charles Byrd for a program called “Zero to 60 with Evernote”. Many of you know that I am an avid advocate of using technology tools to make your life simpler and to become more efficient. Evernote is one of the tools that I have used for years, and I thought I was using it efficiently until I heard the webinar from Charles. In my interview with Charles, you will learn not only what Evernote can be used to do, but you will be exposed to several really great tips that will make you even more efficient in the use of this amazing cloud-based software system. If you are not currently using Evernote, I would highly recommend that you take them up on the free trial offer. I would bet that many of you after this podcast will convert to using Evernote. 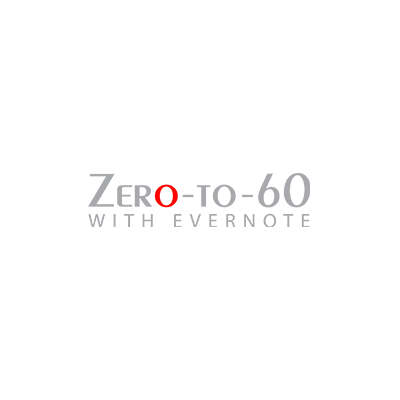 I am also offering Charle’s course Zero to 60 with Evernote at a significant discount. You can click on this link and it will take you to the registration page for his online course. Here you will be exposed to everything from getting started to the advanced tips and tricks that Charles teaches to improve your efficiency in the system. I hope you enjoy this wonderful interview with Evernote expert Charles Byrd. You can learn more about Charles by clicking here to be directed to his website as well.